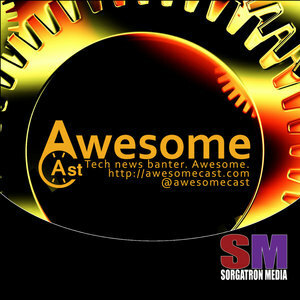 We found 10 episodes of AwesomeCast: Tech and Gadget Talk with the tag “nintendo switch”. Chris Whitlatch is back with some VR updates this week. He is joined by Sorg and Chilla as we talk this week in tech news. Sorg, Katie, and Chilla brave the bitter cold this week to bring you this week’s tech news. We’re winding down to our year-end episode, but before we get to the year in review, Sorg and Chilla are sharing some of the week’s tech news. Chilla is on vacation this week, so we replaced him with our OTHER tech guru from Big Bank International! Krause, Katie, and Sorg are talking this week in tech. Krause is on the couch this week. Chilla’s on remote from Studio C. We’re not quite sure where Dudders is. But, Sorg’s holding it down with the boys for this week’s episode. It’s hard to believe it’s been 8 years since we picked up our microphones and video cameras and started this podcasting about tech thing. For the occasion, we’ve got Mike Pound, Chilla, Sorg, and Katie in studio to talk about a few things. Cynthia Closkey is back on the show this week joining Katie, Chilla, and Sorg as they talk tech news. This week Brian Crawford of The River's Edge rejoins our regulars Katie, Chilla, and Sorg as they talk this week’s tech news. Krause is in studio with Sorg as Chilla joins in remotely from Studio C this week. In a post-CES world, we’ve got a ton of stuff we’re talking about this week.